There is no draft beer. If you order a mixed drink, you will watch the bartender open a 12-oz. bottle of soda and pour in just a nip—the bottled soda is more valuable than the liquor. The jukebox has no white musicians on it. Every night, the door is manned by Junior, the co-owner; his wife, the other co-owner, will either be sitting near him, the two talking, or she'll be in the kitchen (which is directly opposite the bar), cooking. Regulars and friends often get this food for free; the smell lingers on your clothes like the scent of a lover. Dives are typically about feeling sad in a fun way, or intruding on someone else's sadness. At worst, pursuing dives can be a terrible form of cultural tourism. 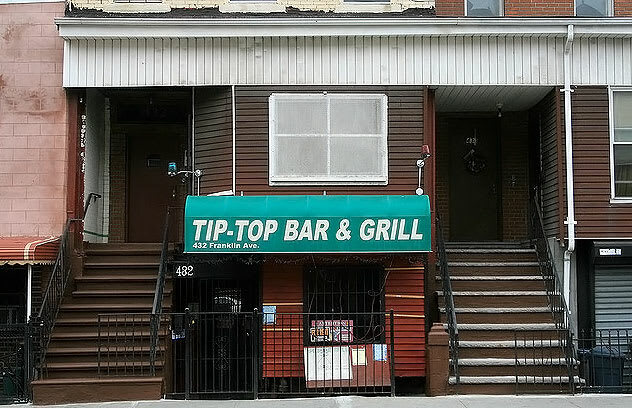 Tip Top isn't sad. Everything about this family-run basement bar is beautiful, from the tacky Christmas lights to the Obama memorabilia coating the walls like a second skin. You can smoke outside, on the large covered back porch. Junior will always smile and nod at you when you enter and when you leave. Sometimes he has light-up pens to hand out. They're emblazoned with the bar's name. If you don't fall in love here, if you don't sense that one day you'll marry this bar or get married in the bar, there's an icebox where your heart should be.